Each section is illustrated with numerous examples. Multivariate probability deliberately avoids a measure-theoretic approach in order to make these complex concepts easily accessible to a broad readership. Attention is restricted to discrete and (absolutely) continuous random variables. Although proofs are given of all the main results, this book is primarily intended to provide readers with the tools they require to build appropriate probability models for real-life situations. The usefulness of simulation in this respect is emphasized throughout the book. 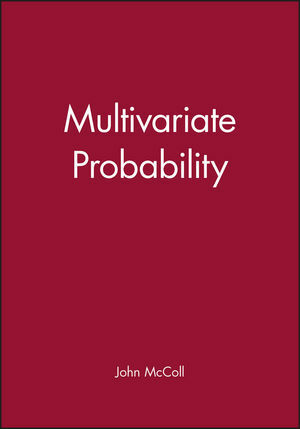 John McColl is the author of Multivariate Probability, published by Wiley.